Worksheets and solutions to help Grade 1 students learn how to look for and make use of repeated reasoning on the addition chart by solving and analyzing problems with common addends. 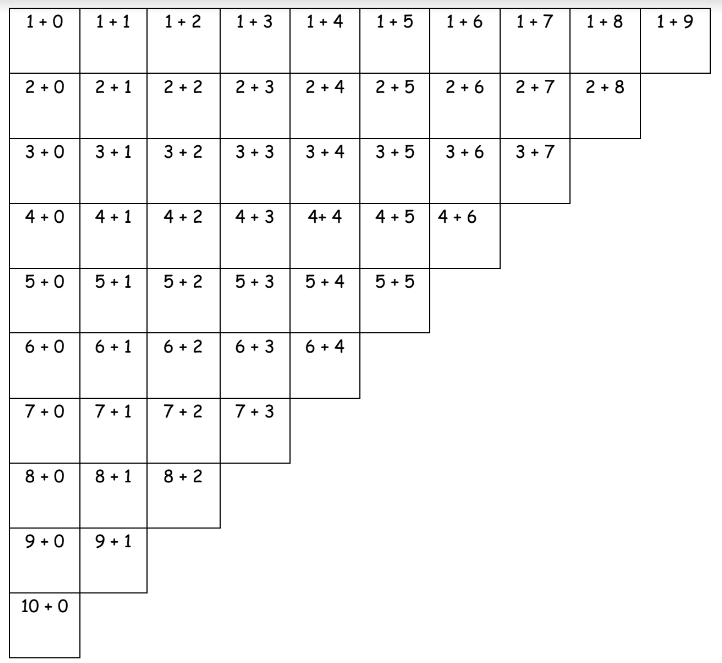 The following figure shows the addition chart with sums to 10. The following video will show how to see patterns in the addition chart. Use your chart to write a list of number sentences in the spaces below. Look for patterns on the addition chart. Fill in the missing box and find the totals for all expressions. Use your completed addition chart to help you.